Japanese label COMME des GARCONS has teamed back up with Nike for their latest collaborative effort. Japanese label COMME des GARCONS has teamed back up with Nike for a new collaborative effort. They've once again choosen to work on the Blazer, but this time in a high-top cut. 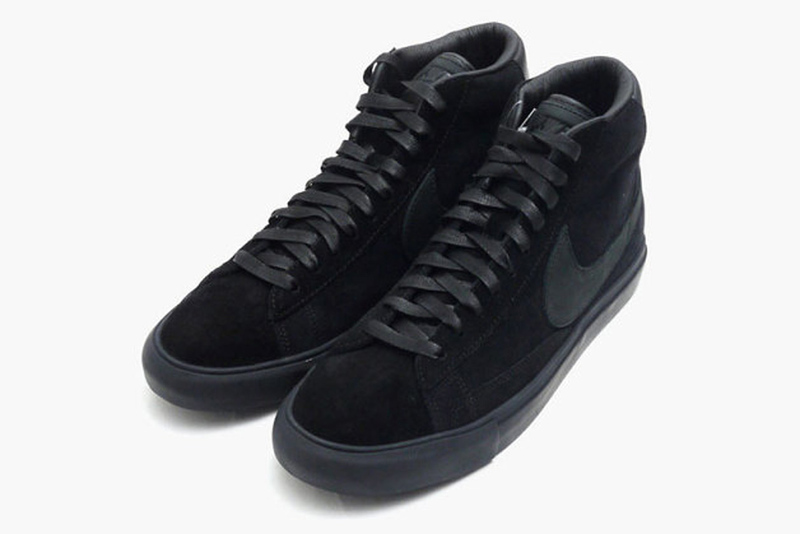 A Premium edition, this pair sports a full black suede upper with a leather Swoosh on the sides, liner and heel tab. Wax laces, a black vulcanized sole and white 'CDG' branding on the back finish this pair off. 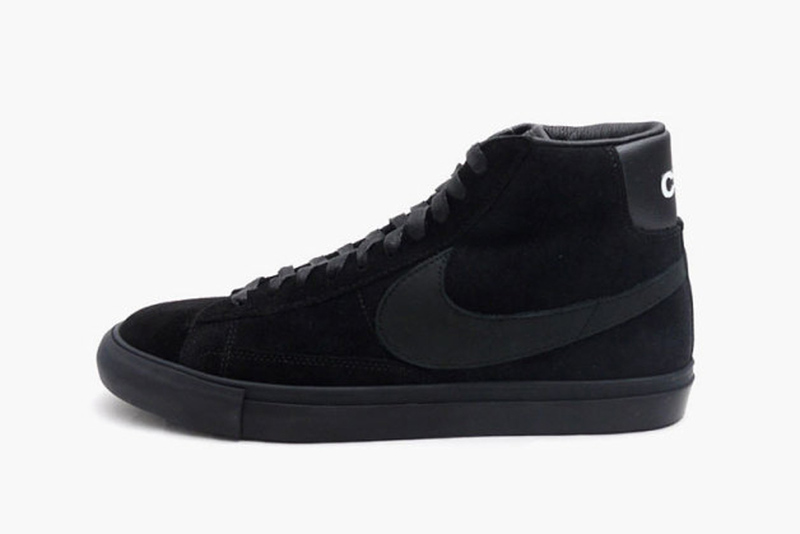 The 'Black' Nike Blazer High Premium CDG SP is set to hit select Dover Street Market locations later this month, in limited fashion.